This past week, I’ve noticed and tweeted a few articles about pop culture and how it relates to job searching. I began looking on Brazen Careerist (one of my new favorite websites) for more great articles and found most of what I will share with you. I found some other articles around the web, and they’re equally as good and eye-opening. All of the ten articles are very diverse when it comes to what kind of celebrity/television show/movie/etc. 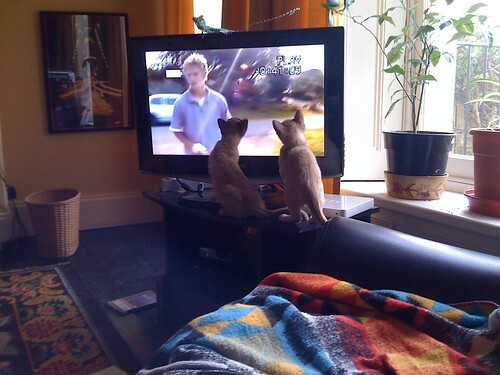 they’re explaining. I think there’s something for everyone here! I recently got interested in the AMC television drama Mad Men. Don Draper is the man I love to hate, and his lesson goes, ‘Don Draper didn’t get his dream job through normal channels—and you might not, either. In today’s competitive job environment, you’re going to have to be creative to land that job.‘ Check out more of the 5 Unexpected Workplace Lessons From Mad Men. The movie Forrest Gump is chalk full of lessons, memorable quotes and superb acting. 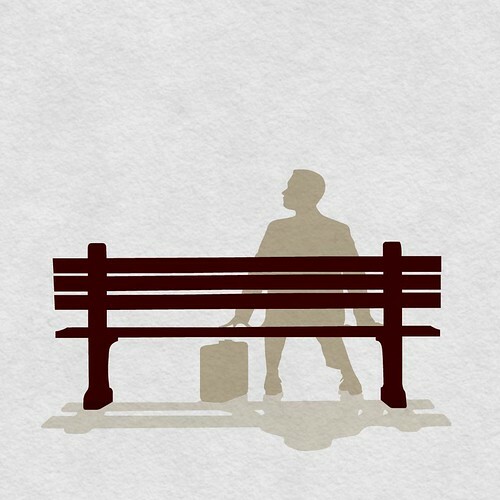 One of his famous quotes goes, ‘Life is like a box of chocolates. You never know what you’re gonna get.’ ‘There is a lot of truth to it – life never turns out the way you planned. Don’t be scared to take a chance and bite into something new, you might just like it.’ This was taken from the short and sweet list, What Forrest Gump Can Teach You About Being Successful. Katy Perry and Jay-Z have it figured out. They know all about personal branding, and it seems effortless. If these two famous singers can build their personal brand, you can too. Take advice from Katy Perry’s career, ‘Think less, do more. It’s that simple. It’s why James Bond shoots first, and asks questions later. Act first, ask questions later. Stop talking yourself out of things before you even start. Katy Perry didn’t ask your permission to bombard your radio with music that personifies how we all want to live. A life where you take action, knowing its a mistake, just to come out the other side, invigorated and ready to do it again. Do something. Anything.’ This article is full of empowerment, so if you need a confidence boost, read What Katy Perry and Jay-Z Can Teach You About Personal Branding. For those of you who grew up in the ’90’s, you know about Boy Meets World, Full House, and Sabrina the Teenage Witch. I watched Full House when I was a kid, and their work lesson, which definitely applies to real life as well, goes, ‘What happens at the end of every episode of Full House? The sappy music comes on and the members of the Tanner family have a heart-to-heart about their latest conflict and the episode concludes with a hug. Hug (or talk) it out.‘ To check out the Boy Meets World and Sabrina the Teenage Witch lessons, read 3 Life (And Career) Lessons from 90’s TV Shows. If you’re a fan of reality television, did you know some shows can teach you about personal branding? ‘Whether someone gets kicked off an island or goes on a blind date with a stranger, the spontaneous nature of reality TV requires that its protagonists adapt quickly and seamlessly to change. Similarly, recognize that today’s market makes industries particularly vulnerable to rapid evolution and change. Therefore, any brand strategy should be very fluid and adaptable.‘ Read more tips here: What Reality Television Can Teach You About Branding. If you’re a movie buff, like myself, you love watching movies that have a lesson at the end. When it comes to your career, a funny movie that depicts having a horrible 9 to 5 job in a stuffy office is Office Space. Their lesson goes, ‘Co-workers are everything. The best thing about this movie is the cast and how the characters work together (and sometimes completely mess with each other). Co-workers teach us how you can stand even the worst job when there are awesome people involved.‘ I definitely agree how coworkers can affect how much you like your job. For more lessons based on movies, check out the 8 Best Career Movies of All Time. I hope some of these pop culture icons, movies or television shows have spoken to you and you have taken a lesson or two away from it. Did I miss anything?! Let me know in the comments, or e-mail me at mediacld@uww.edu!